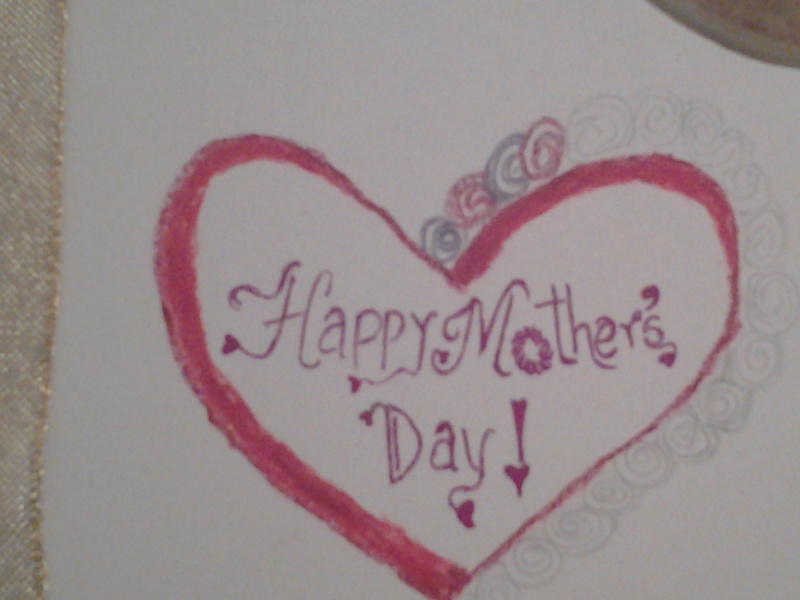 How to: DIY Mother’s Day greeting card plus a gift idea from Amazon! I am super excited to bring you this post today :). Mother’s day is celebrated on different dates in different parts of this world, like in US, it’s on May12th while in UK it’s on Mar 10th. Well, in UAE it’s coming up on 21st of March. I thought I will do a post ahead of time for two reasons : 1) I always love to help you guys out with ideas 🙂 and 2) I am 100% sure my mom won’t be checking this post. I hate to ruin surprises! 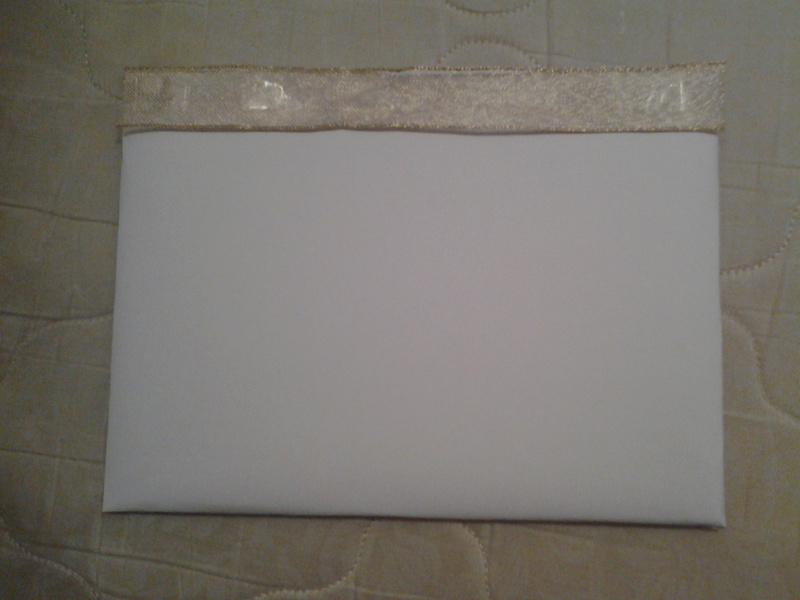 First, I took the cardboard piece, which I had saved from inside a pillow case set and wrapped it, using the A4 sized sheet of paper. 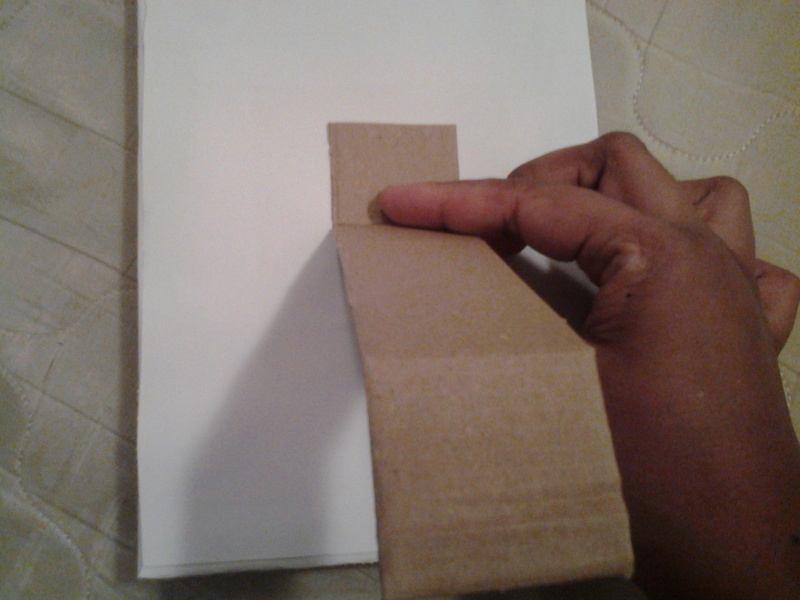 If you need the step by step procedure for that, please visit my last DIY greeting card. 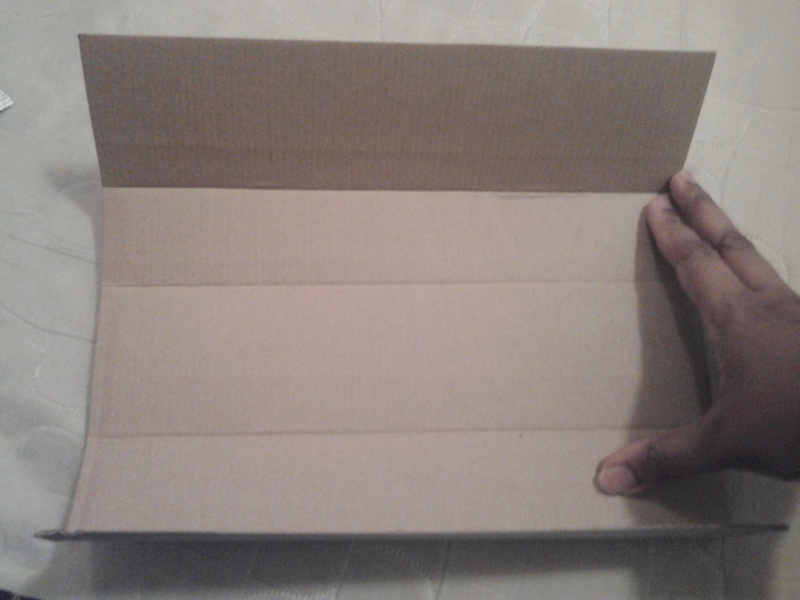 In that DIY too, I had used a cardboard piece just like this one. I could have used normal paper to do that DIY. 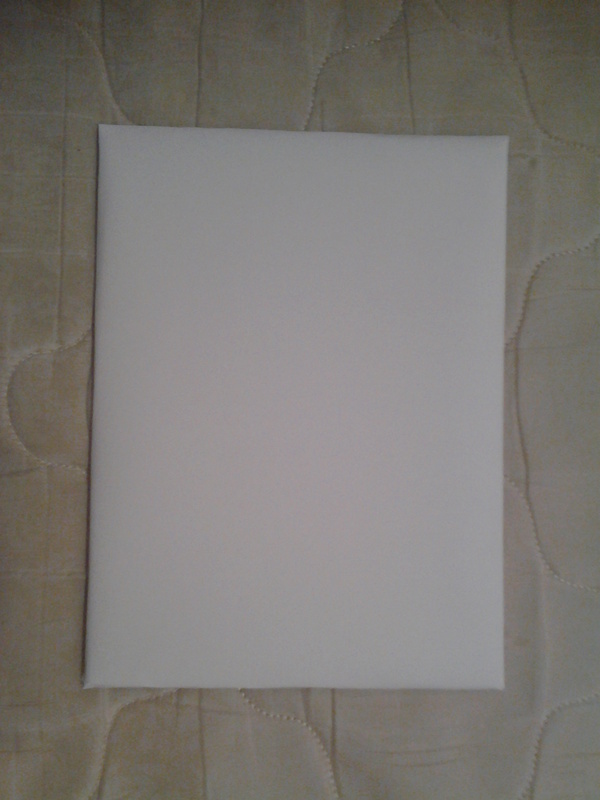 But this particular DIY card, requires you to use a sturdy cardboard piece itself, because in the end, I am planning to convert this into a frame-like structure. 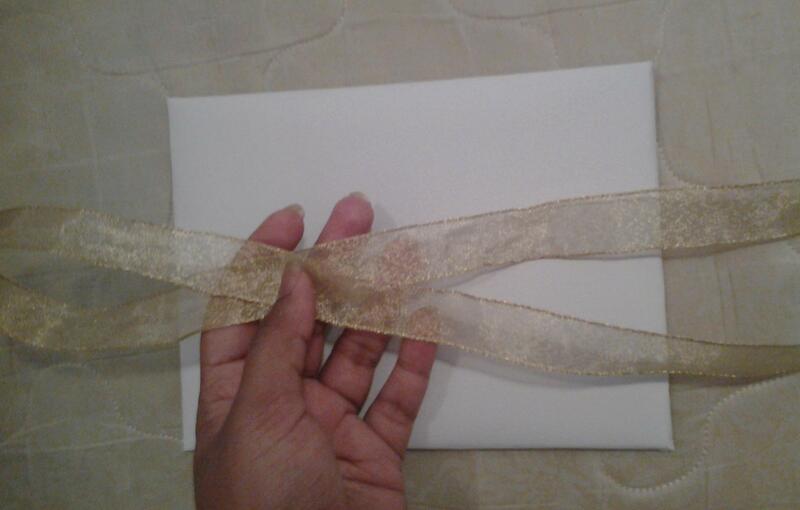 Next, I took this pretty, shimmery golden ribbon (which was used to wrap the flower bouquet my husband gave me for Valentines day this year :)) and had an idea to wrap it around the edges of the card. 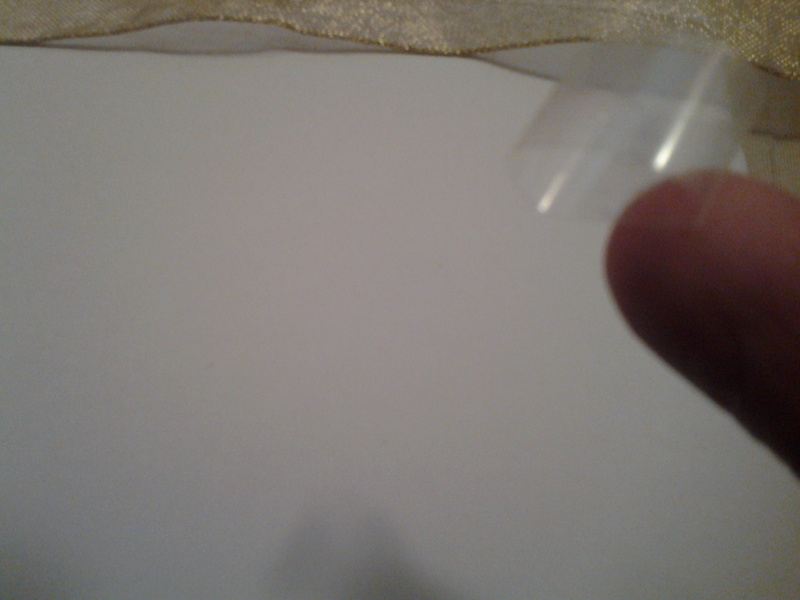 I took a piece of clear tape and bent it to turn it into a double sided sticky tape, like this. 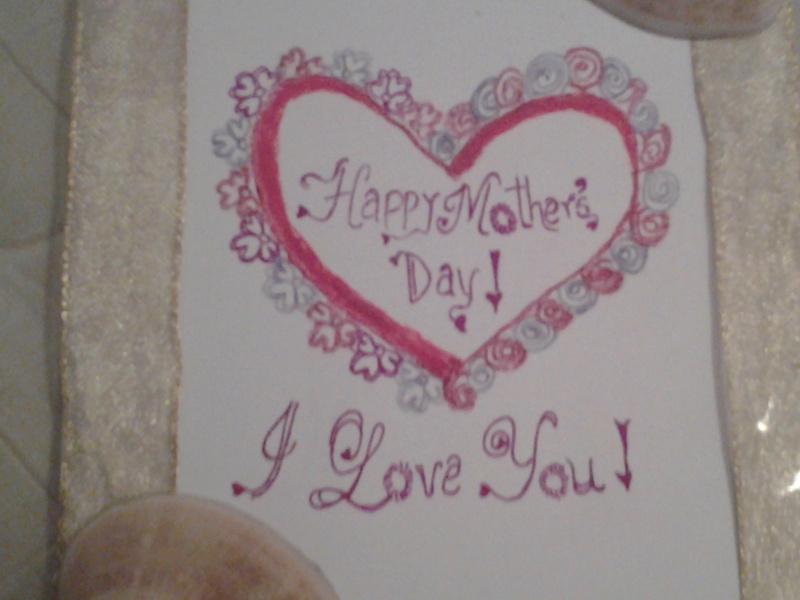 Then I made many of them and lined it across one side of the card. 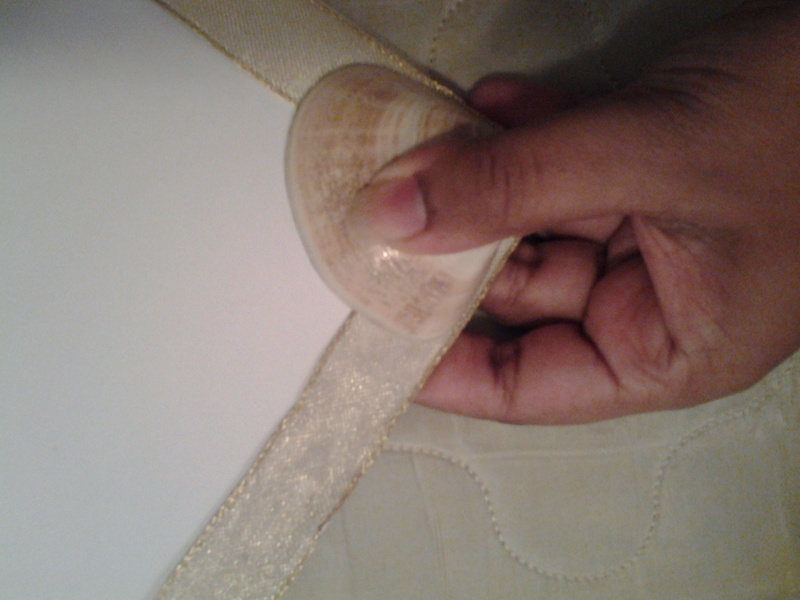 Next, I flattened out the ribbon across the card like below. Then I trimmed off it’s edges, like this. 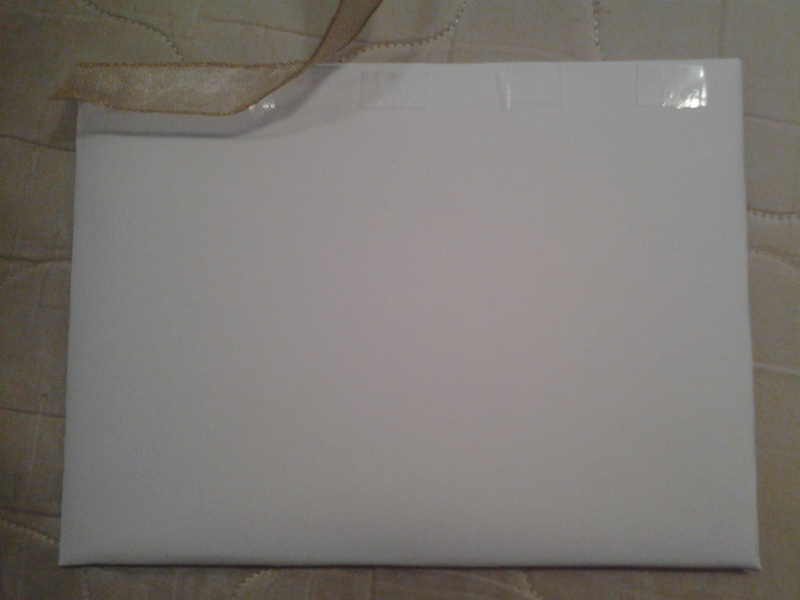 I gotta tell you that it was pretty hard to stick the ribbon down with the tape. 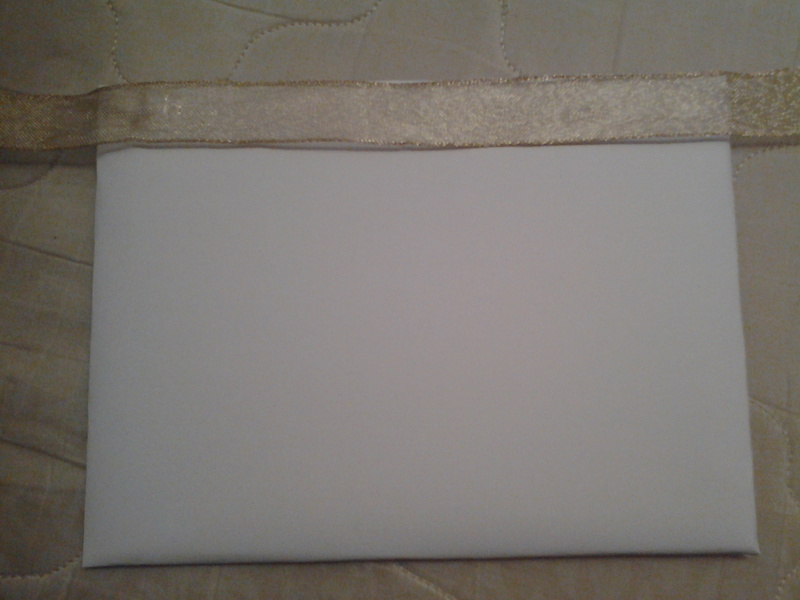 But after keeping it pressed with my hand for a few secs, it held on. 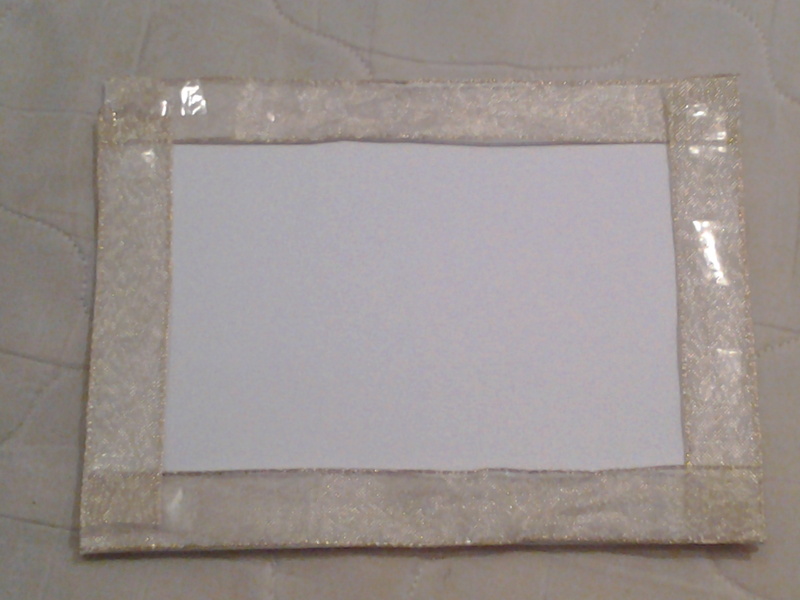 I did put on couple more of tapes on top of the ribbons to make sure its intact. Also, did the same as above to the rest of the sides. 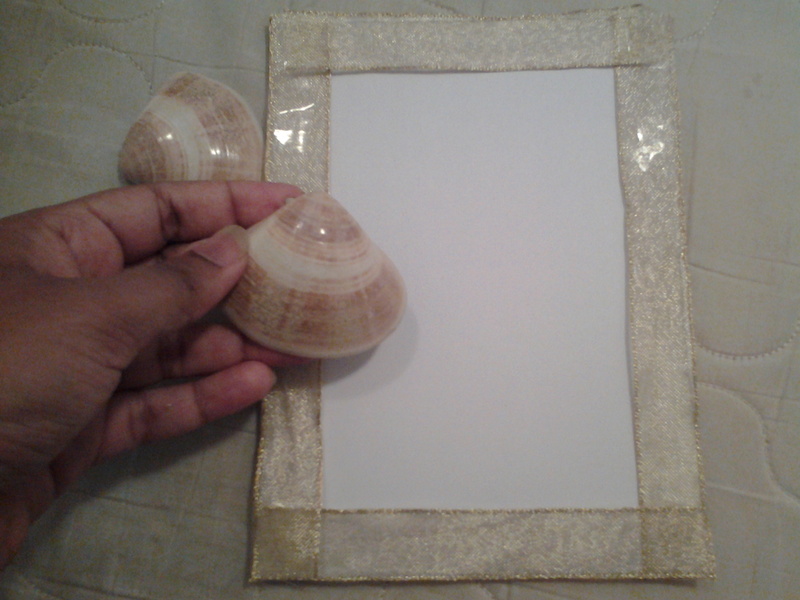 Here are two shells I got from the beach. They were joined together when I got it and that’s why they look identical. 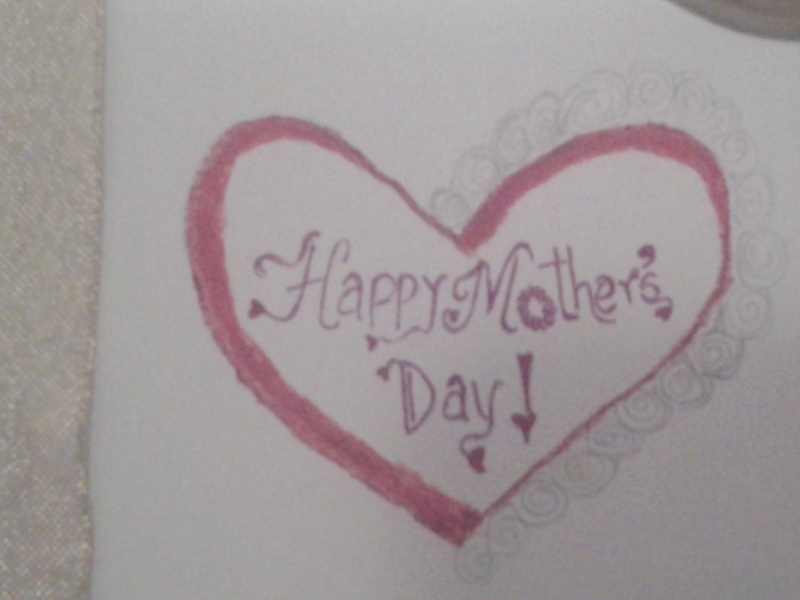 I broke them apart so I could stick them separately on the card. I then placed the shell where I wished to stick it. You gotta always have an idea first as to where you want something to be. I wanted it in the corner. 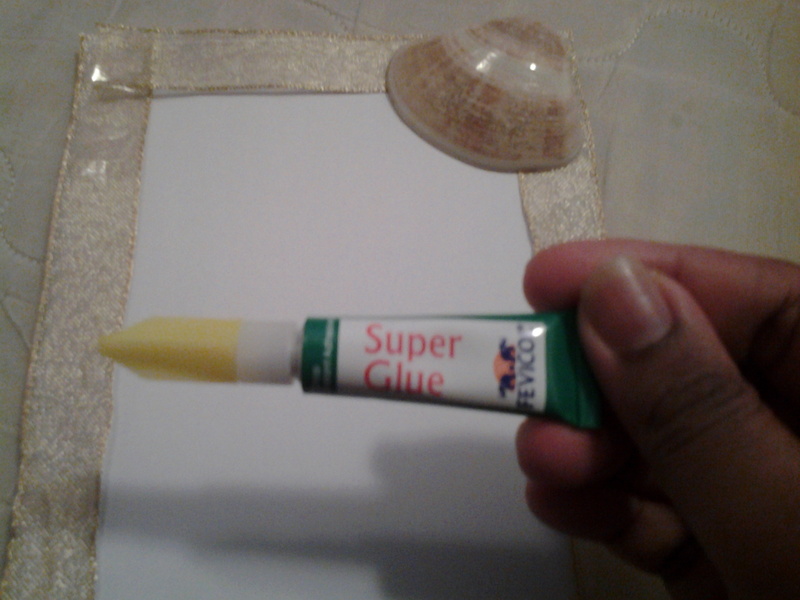 I am using a Fevicol Super Glue to stick it. You can get it for just AED 1 at any super market. 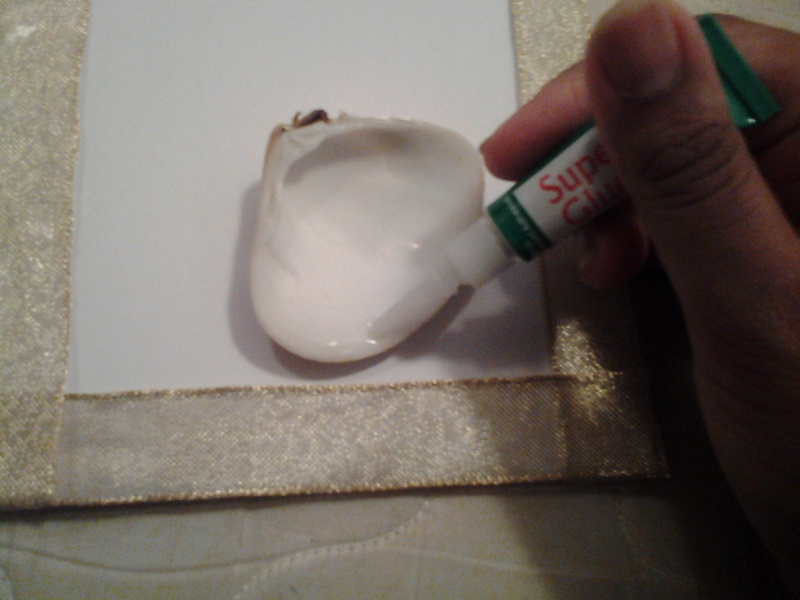 Once I stuck it, I pressed down hard on the shell and held it in place to make sure it stuck real well. Look how nice it looks once the shells are in place! 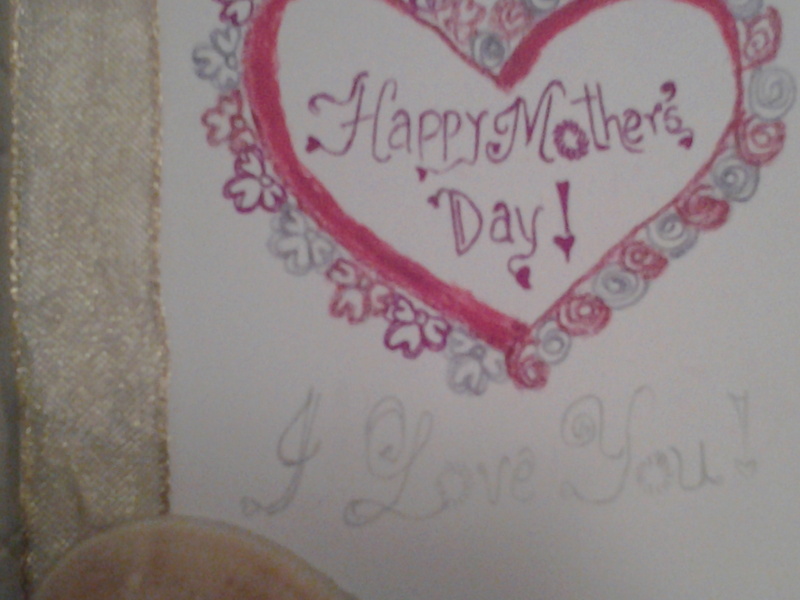 Next, I started drawing a heart right in the middle of the card. Notice, if you can (hope it’s not too light), how I put those tiny dots around, so I know how to join the heart and try to get a heart shape which is near-perfect. 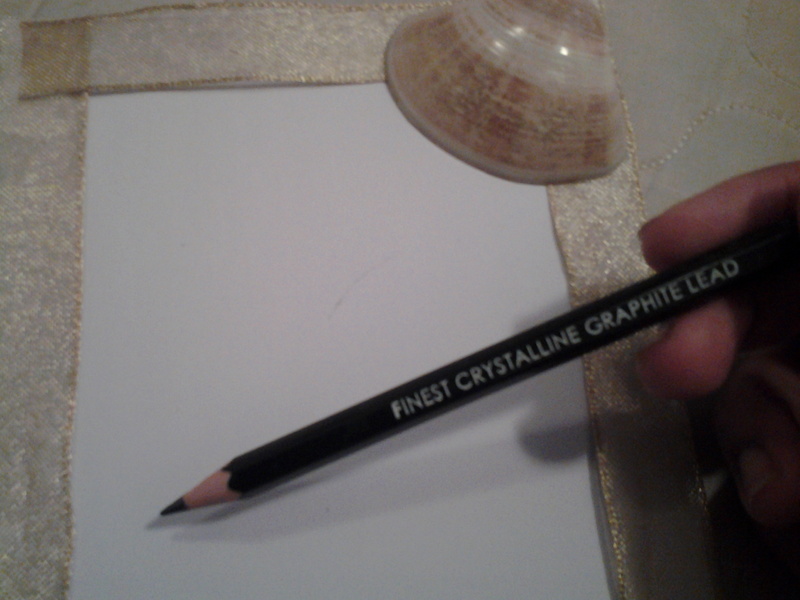 I am using a graphite lead pencil here. The heart is complete. Make sure you have an eraser handy!!. I didn’t have one lying around but finally found a pencil which had one at it’s end. Jeez, I still find it super tough getting a heart shape right! 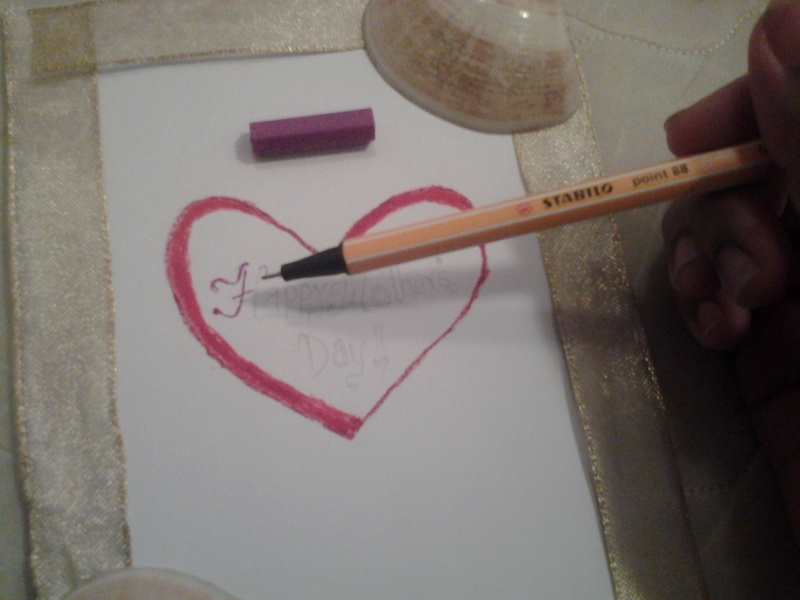 Using a red lip pencil, I outlined the heart. I know, I had those oil pastels handy, but in order to get a thin line, it’s better to use a pencil. I been using this lip pencil for such art and craft for a while. It did come as a little one in a makeup set, but I don’t use it on my lips. 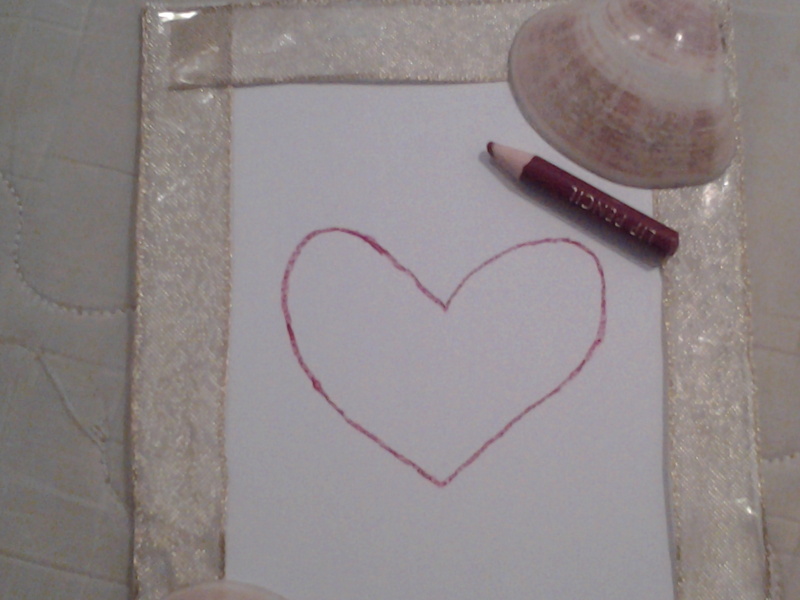 Next I used the red color from my oil pastel set, to color a thicker edge to parts of the heart. 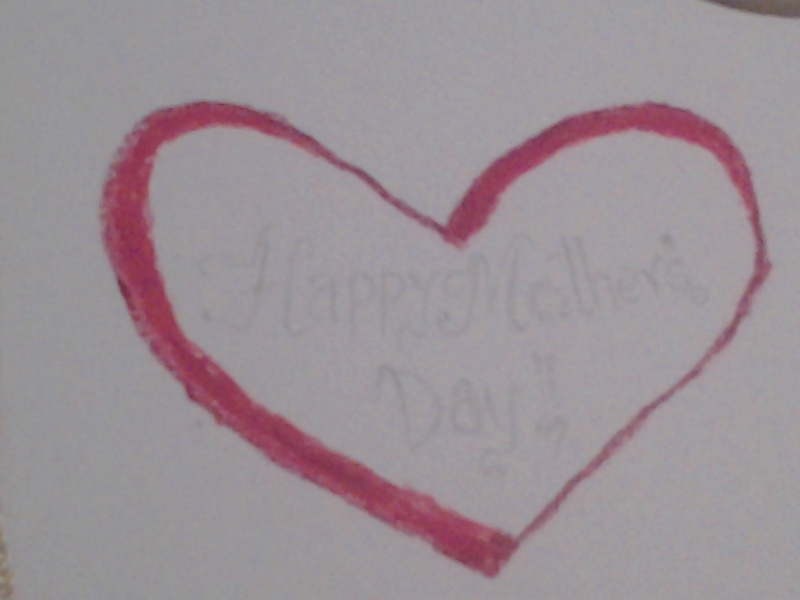 Then I wrote “Happy Mother’s Day” in it, trying my best to make it look fancy :D.. I used a pencil, just to be on the safe side. It’s always good to start with a pencil and you can make any number of amendments to it. I then started writing on top of it using my purple Stabilo pen. I love how extremely fine it’s tip is. It looks like that once I am done. Next, I decided to draw swirls around the heart, like this. I decided not to do it around the entire heart. So I did part of the heart only. 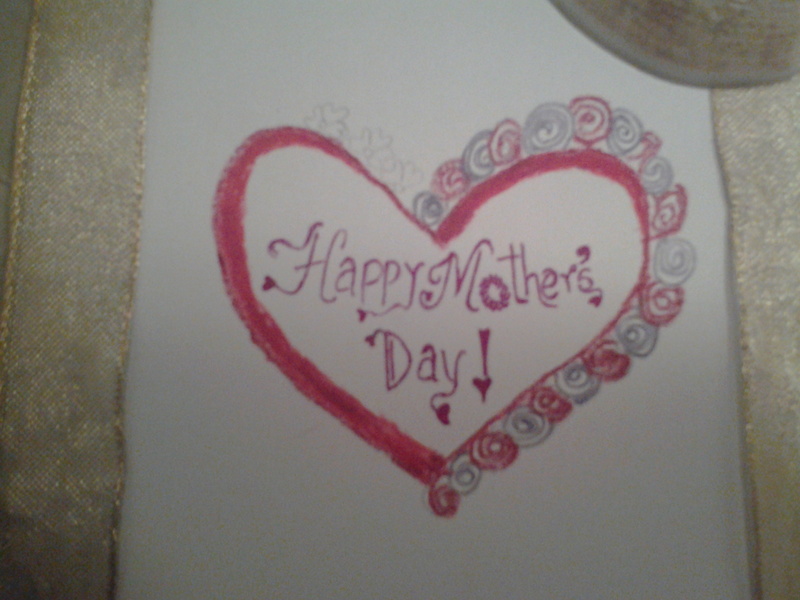 I then used a purple color pencil and my red lip pencil to alternate coloring those swirls. Once I was done with that side, I decided to cut the monotony and draw flowers on the other side of the heart. In addition to the purple pencil and the lip pencil, I decided to use the purple Stabilo pen too to alternate while drawing in, the flowers. I then colored in both with the Stabilo purple pen. 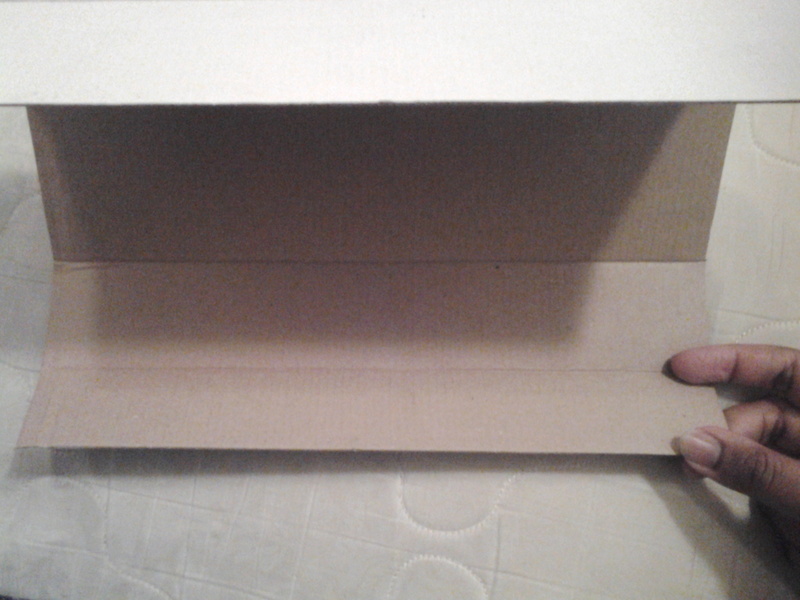 Now, here is a piece of sturdy cardboard which was used as a partition in an offer pack of something I bought. 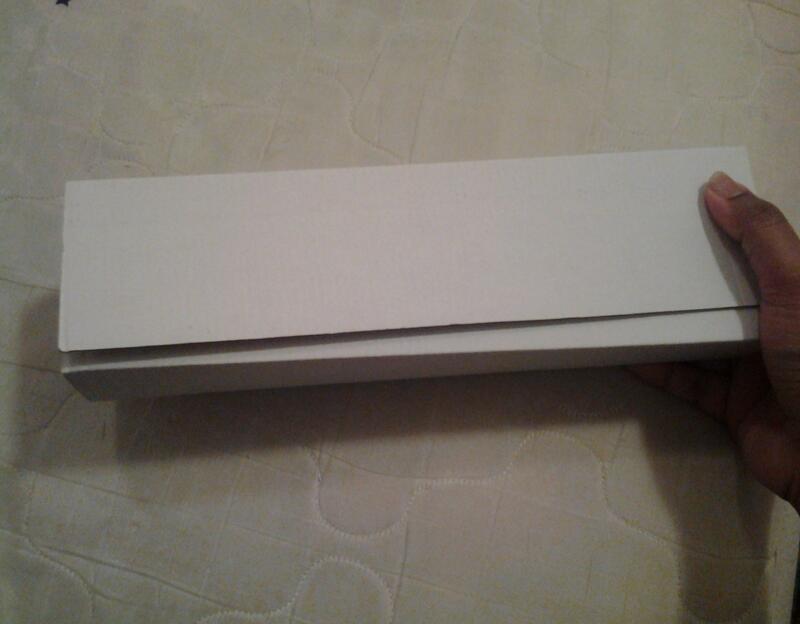 It could be opened like this. I decided to use just this one part which I have caught hold of, in the below pic. I cut along the line to get a piece of the length I required. 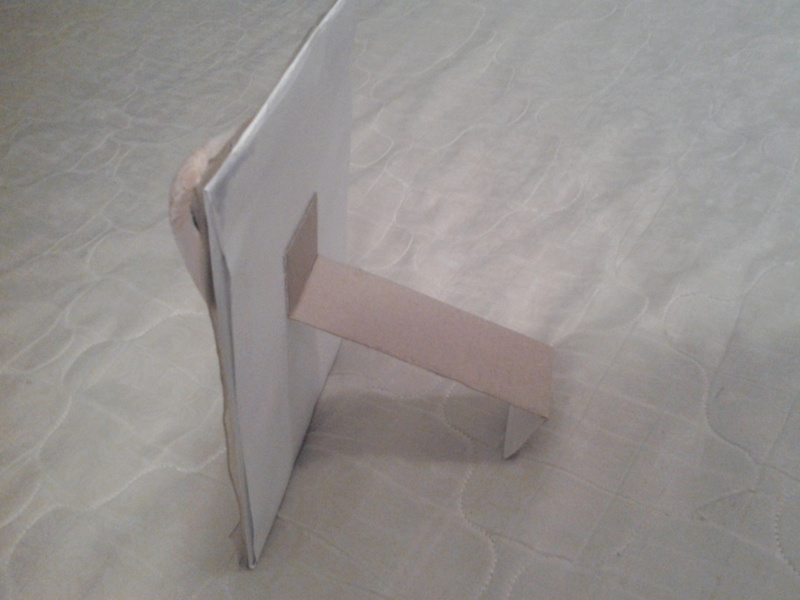 I then bent it on both sides and stuck one side of it right in the middle of the card, at the back, using the super glue. Obviously, when you close it, a part of it is going to be visible from the front. 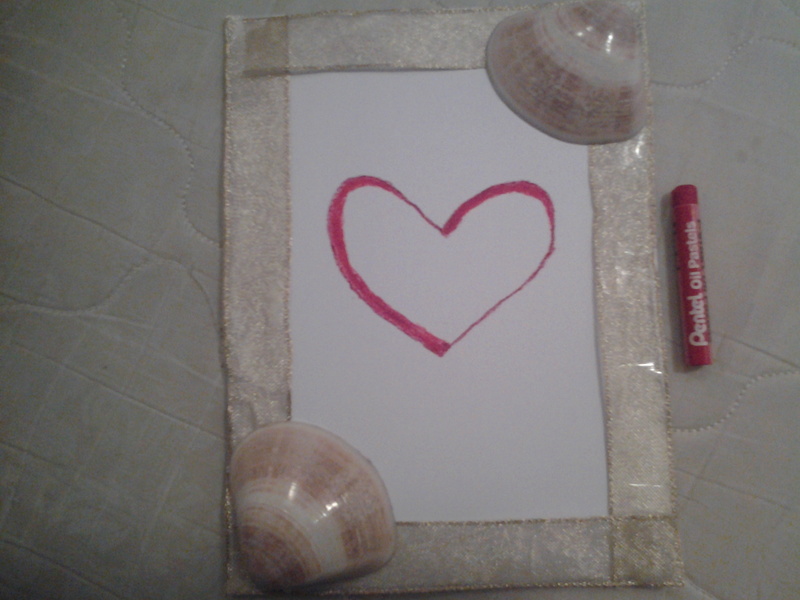 I decided to draw hearts on it, so that it doesn’t look blank and weird!. I will be signing off with my name there. Now that our card is done, let me discuss a gift idea with you. At first I thought I will do a list of gift ideas but then I knew it would be a similar list to my Valentine’s gift ideas post, in which I had listed my favorite gifting ideas. 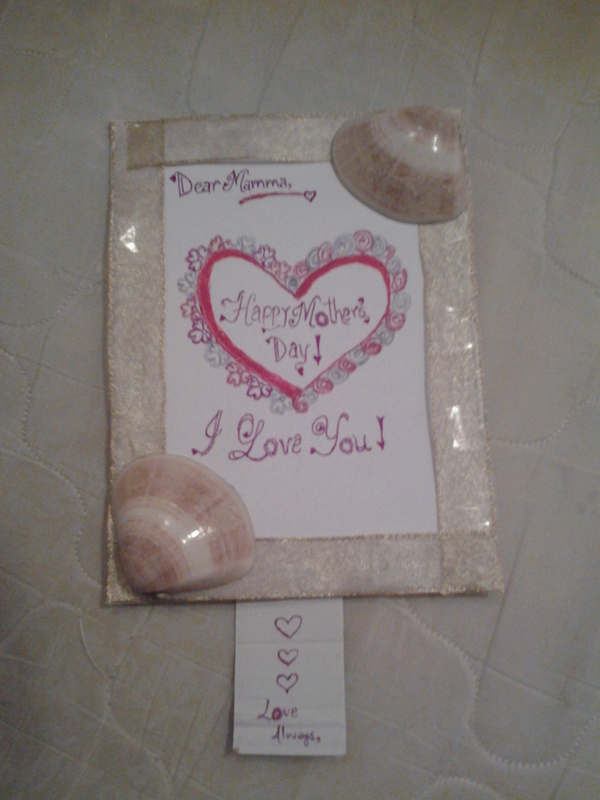 Instead, I decided to show the gift I got for my mom. 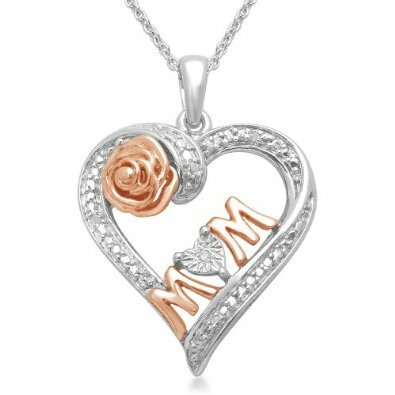 It’s an 18K rose gold plated sterling silver chain with a heart mom pendant. It has three minute diamonds on it too. I bought this from the Amazon Curated Collection of Amazon for USD 39.00, which I thought was a neat price for such an elegant necklace. 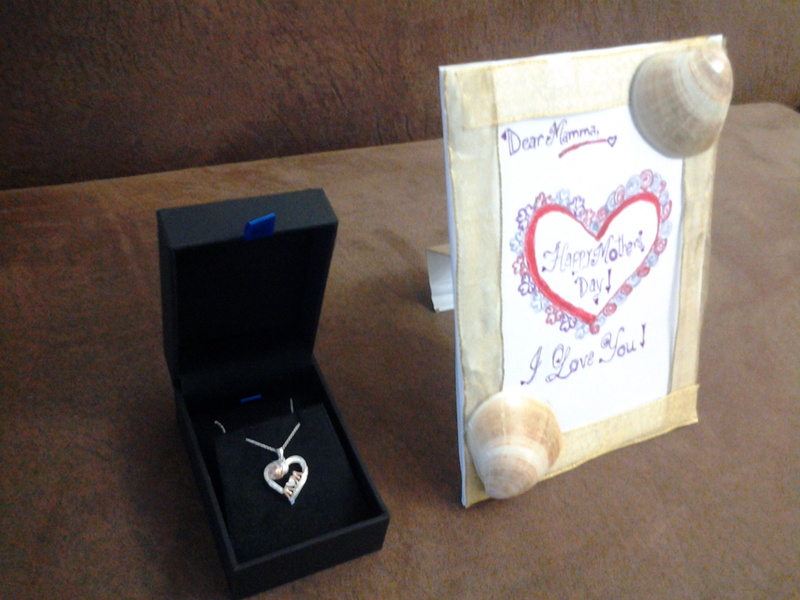 Here is the direct link to this necklace if you wish to surprise your mom with it too :). 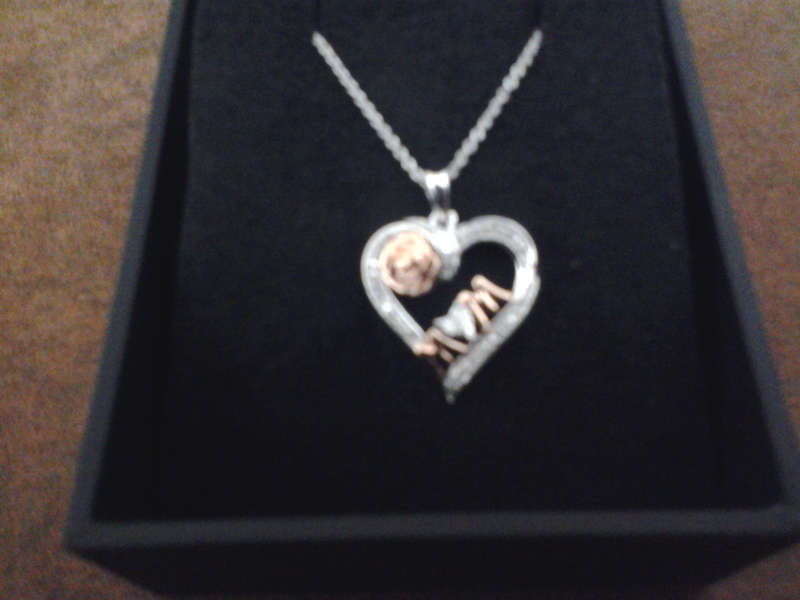 Here is a close up image of the pendant (my camera doesn’t focus too well in the pic I clicked). Isn’t it gorgeous?? 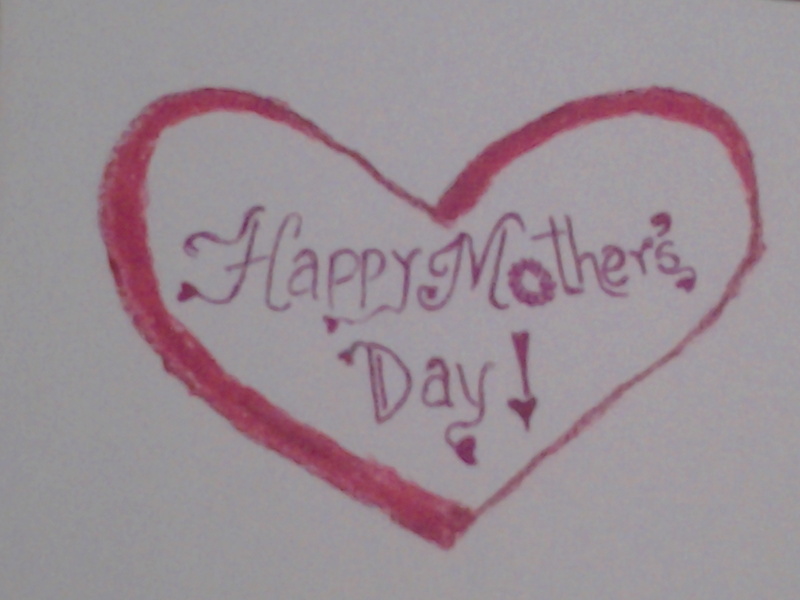 I had selected the 12 -18 days shipping option while checking out, because there was still a long time to go for Mother’s day. 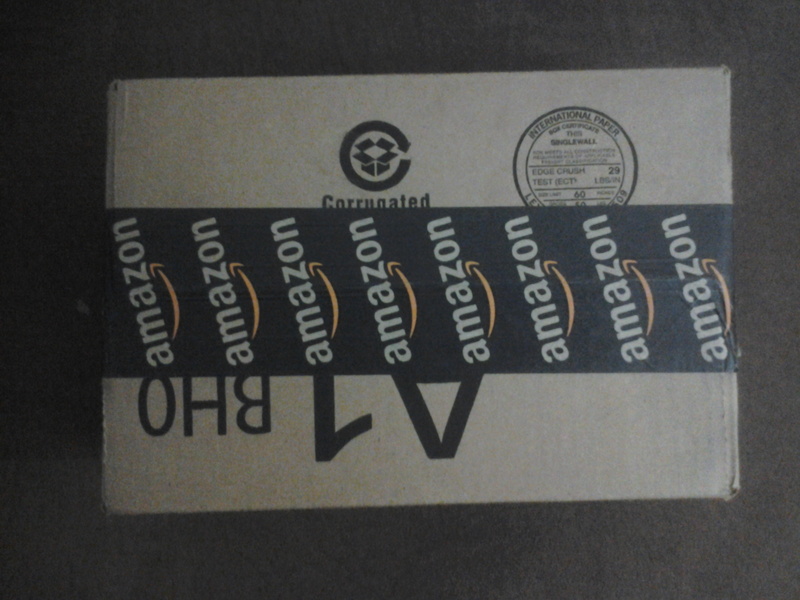 However, imagine my surprise when it reached me in a short time of just 6 days, which I thought was super fast shipping!. I paid USD 9.44 for the shipping (handled by Aramex), which I think is very reasonable. 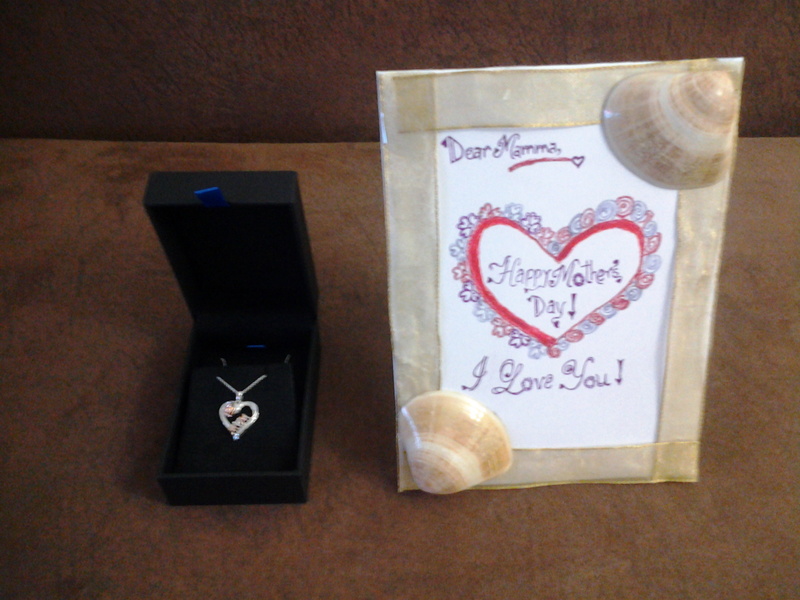 So here is the final gift that I will be giving my lovely mom. 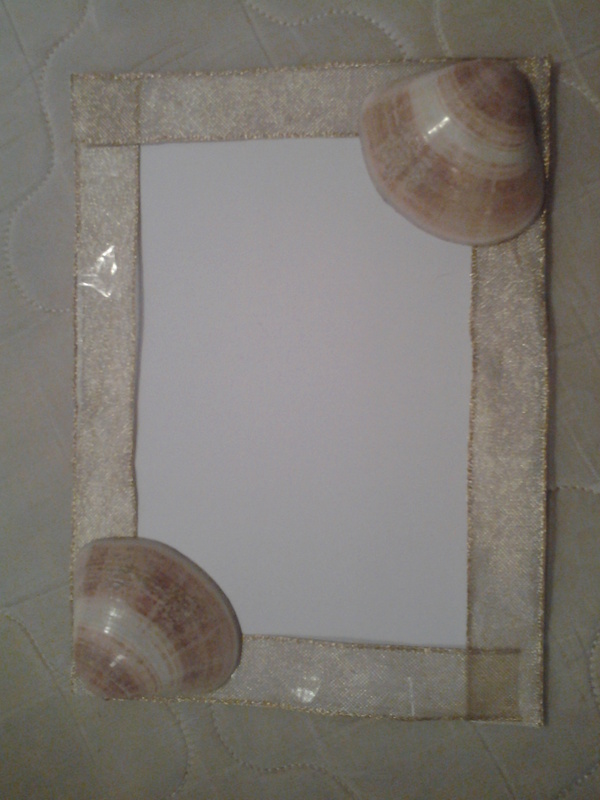 Guys, please comment below and let me know what you thought of the DIY and the gift choice I made for mom. Note: I will be doing a post on my Amazon purchase (I have bought more stuff) and if you have any questions regarding shipping or anything, please leave them below and I will answer it in my upcoming post. Good Effort & Impressive card 🙂 Handmade cards are always very special.There’s a bit more Extra LOVE when we make them on our own,needless to say,Your Mamma love will just love your card & the gift. Hey Smitha!.. Thank you so much :). I highly appreciate your comment! This is so creative of you! I love how even though you got that rocking necklace, you still took the time to make something yourself. That shows a lot! How sweet of you to do this, Naz! 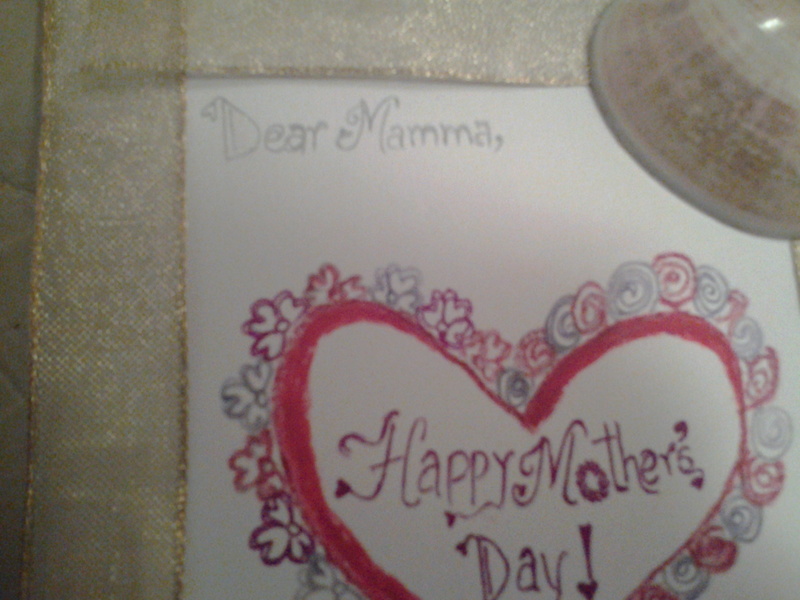 I am sure your mom will love this, especially because you made it by yourself. The heart necklace you ordered is also lovely! I just learned a new fact about the UAE. 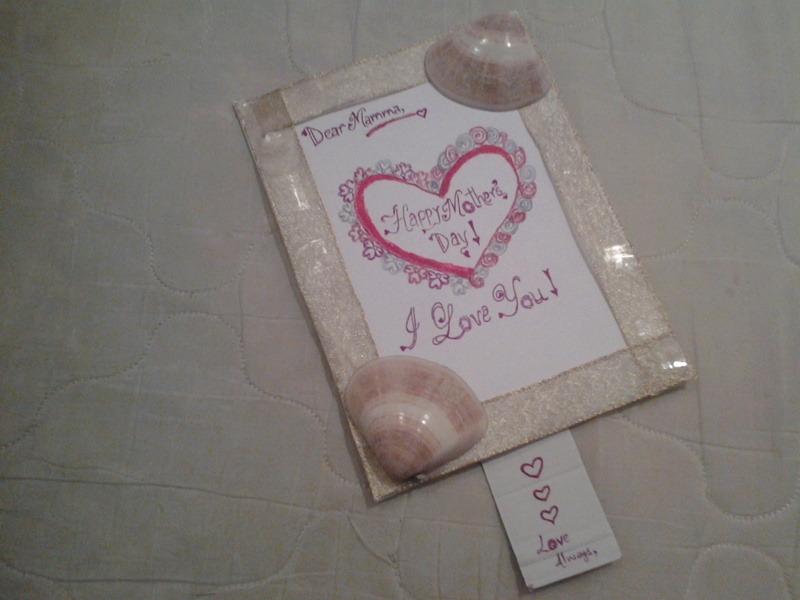 Now time to show off my knowledge to random teachers in my school I just might steal your idea on Mother’s Day because I really, really love the shells. They are so cute and elegant! Please take a part of my soul and give me some of your creativity in return. P.S. 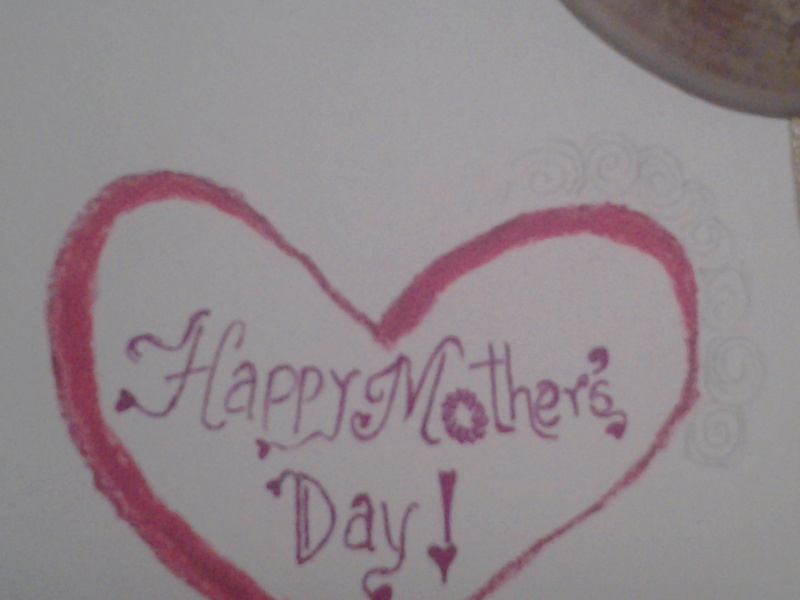 Your mother is going to love that card! 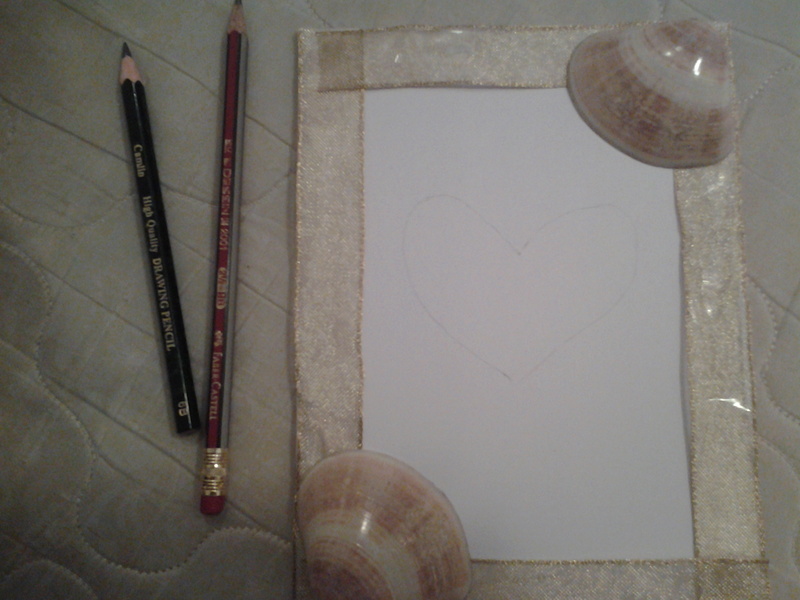 It was made from the heart and there is also the fact that your artistic skills are really awesome. Oh Lottie! !… You are simply such a sweetie. I feel so proud of myself now :D.. Thanks so so much! 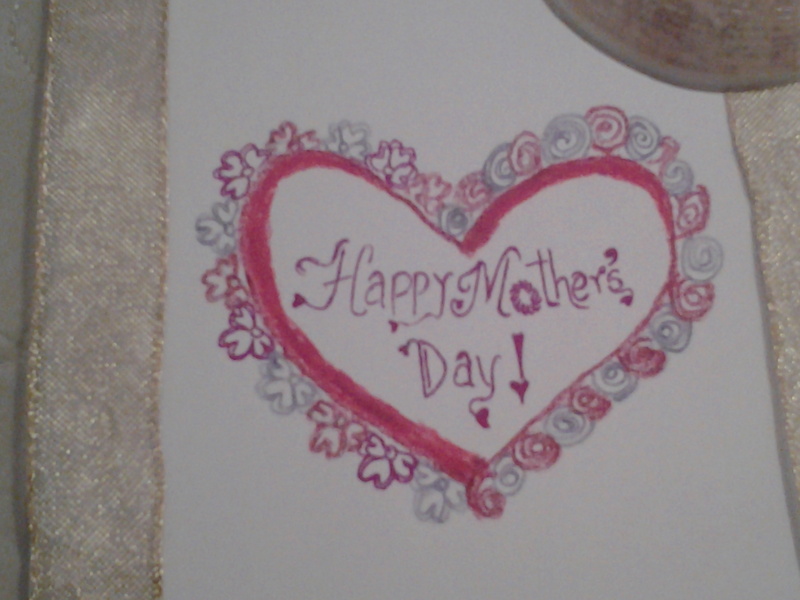 It’s really a great and easy tutorial for making mothers day greeting card, you are really a great person who has made something unique for your mother, handmade card are really special for anyone, and the rose gold plated sterling silver chain with a heart mom pendant is looking so attractive. Many thanks for sharing this great post. What a brilliant idea Naznin the card looks fabulous and I wish I’d thought of it. 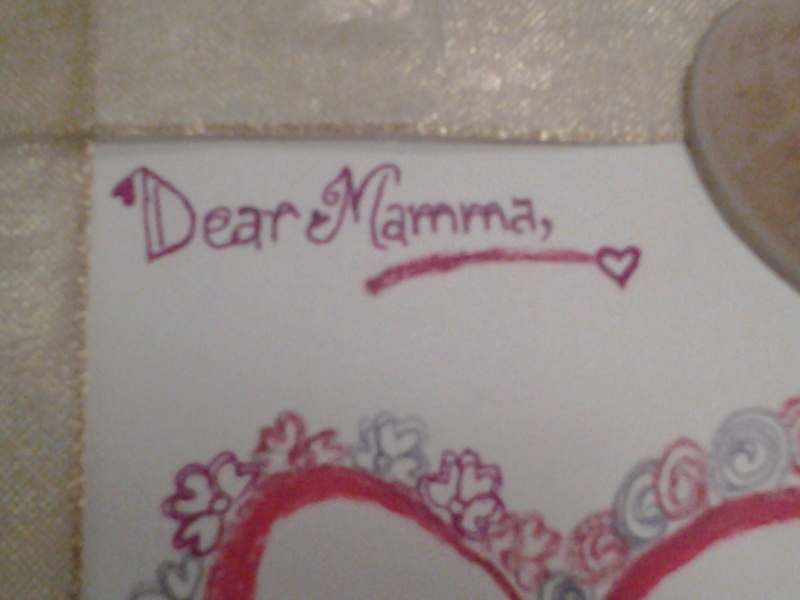 My mother received her card and gift today, I had to post them early to make sure they arrived. She received a crime novel, full of blood, guts and gore, a genre she loves to read! Oh thank you so much, Linda!. 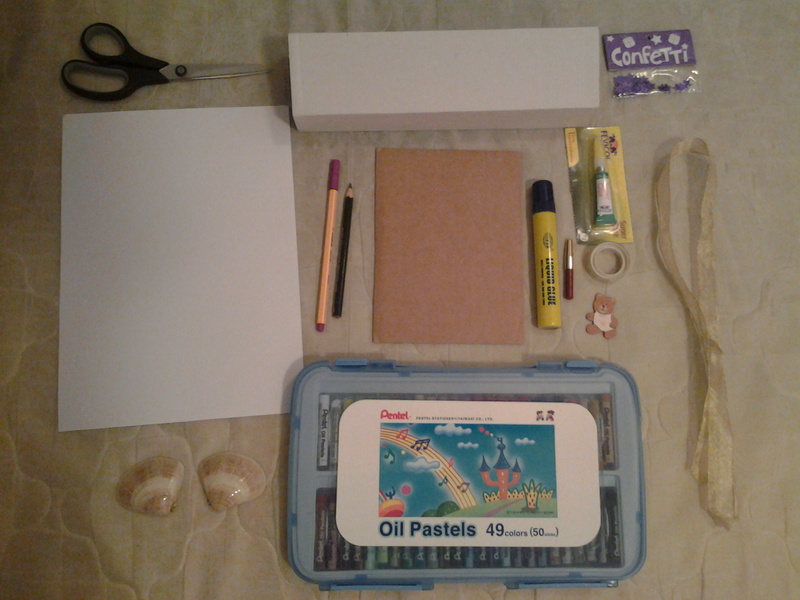 I am sure your mom appreciates your gift just as much because you were thoughtful enough to give her something she loves :)..
What should i say about this great project, you have done great work, many thanks for sharing this easy tutorial with us. I like it. Hi Wilson!. Thank you so much for your sweet comment :). I am happy that you found the tutorial helpful! Hehe!.. I love her like crazy and shower her with gifts whenever I can. 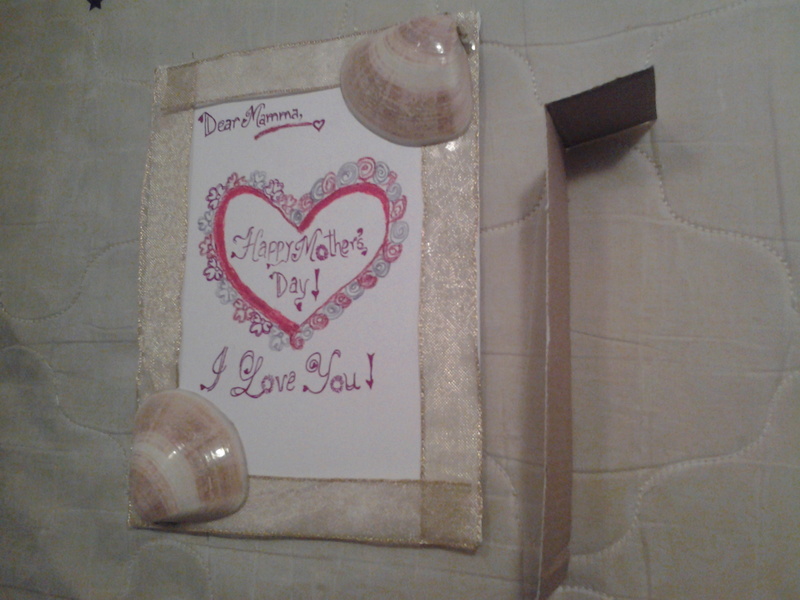 She, being the humble person that she is, said she would have been happy enough with only that DIY card!. She is so sweet, Touchwood ♡.. Thank you Praseena..